Our September weekly interview series continues! We have been holding Q&A sessions with our office staff to learn about their time with Diamond K, and who they are outside of work. 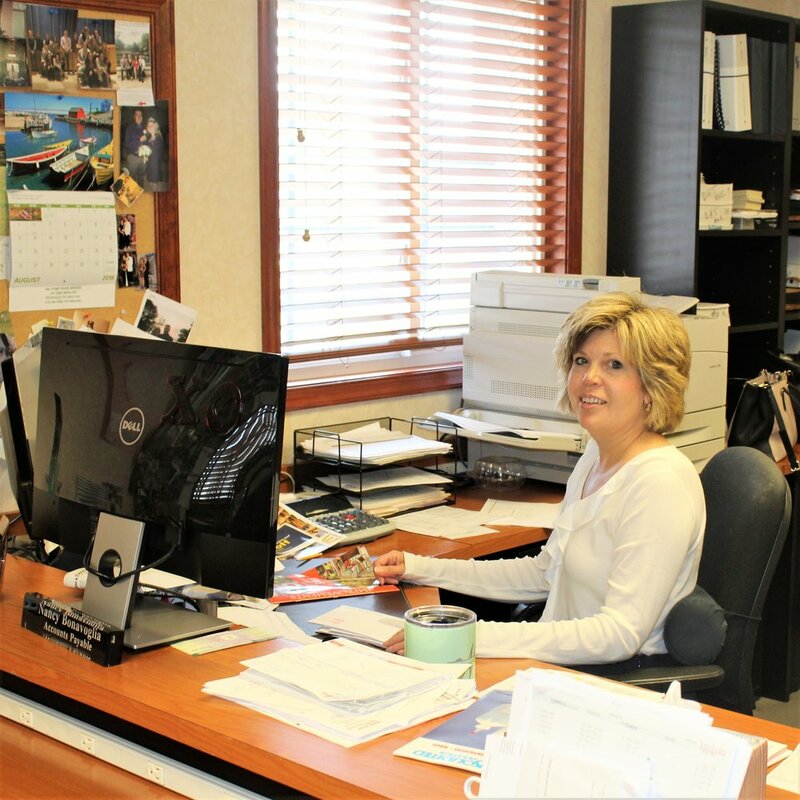 Our fourth spotlight features Nancy Bonavoglia, who currently works in Accounts Payable for Diamond K Inc. Nancy started with the company in 1988. I would love to learn about medicine and health/wellness. My kids are gravitating toward medical careers and I would love to gain insight into what their professions will be. My son will be 24 soon, and my daughter is 20. I would redo my house and pay off my kids’ student loans! What is something you learned in the last year? I have learned to challenge myself more. There is a Darius Rucker song called ‘For the First Time,’ and it really struck a chord with me, since I hadn’t tried anything new in quite some time. My family and I recently went to Maine and went hiking – something I had never done before – and I am so glad we did, it was a very fun, new experience! Adam Levine—can’t wait to see what he does with Maroon 5 for the Super Bowl! Probably where I am now! I hate change, and I love my job! I think I would be a teacher. I feel as though I would love working with kids. Face your fears instead of shy away from them, and continue to challenge yourself! Never giving up on yourself. Always finish what you started. What is your position at Diamond K Inc.? I work in Accounts Payable, which means I am responsible for handling all payments that come in, and any issues that come up with banking. I also do data entry and am responsible for anything pertaining to our online banking accounts. If you could switch your job with anyone else within Diamond K Inc., whose job would you want? I think I am more suited for behind the scenes, where others within the company are better equipped to deal with clients and customer service issues. I really don’t think I would switch with anyone! We all help each other out when need be but I think our personalities correctly match with what positions we are in now. What are 3 words to describe Diamond K Inc.? What do you find the most challenging at Diamond K Inc.? That we are getting older and times are changing. But we make sure to keep up with new things so that we continue to grow as a team. What do you like most about Diamond K Inc.? Every day is something different! So I love the new challenges that we face as a team. Problem solving is difficult but keeps us stimulated and working hard. I also love how many new people I have met while here. What have you gained from working at Diamond K Inc.? I started here over 30 years ago when I was just 20 years old. I grew up here and really learned to be responsible and hard working. I also learned what it means to be a team player. What is on your wish list for the next 10 years with Diamond K Inc.? To see the company continue to grow and overcome any challenges that come its way. What is your proudest moment at Diamond K Inc.? This isn’t one particular moment, but overall I am proud of how well our team gets along, and how we always have each other’s back. We’re a small team and content with our positions, but always willing to jump in and help out when it’s needed. I’m also proud of how long I have been with the company and how I have grown throughout my career here. How do you feel about working for David Kirtland? I started out so young and grew up here, and it’s been so nice having David as a mentor and life-coach. I have really enjoyed my time working here, and we are all so tight-knit that it makes coming to work easy and enjoyable each day! We are all so lucky to have worked with David for so long. Most establishments do not have such a tight-knit team.